Have you experienced Pacific Overlander? Help others learn about this company by sharing your first-hand information with other road-trippers. With the desire for outback adventure and conservation of nature, Pacific Overlander offers heavy-duty 4x4 vehicles for renters ready to explore the San Francisco landscapes. 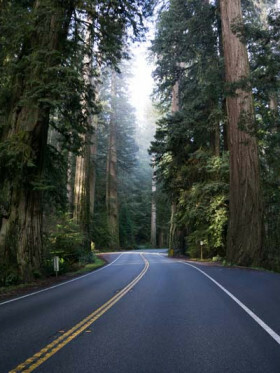 Strategically located in San Francisco, where towering buildings aren't just the normal sightings, but also spectacular countryside scenes, Pacific Overlander wants to share the beautifully, wild splendor of the region. 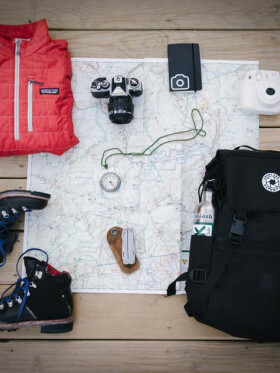 And the best way to experience some of the region's best outdoor activities while witnessing the breathtaking views is through renting a reliable vehicle. Hence, the company provides different options for different renters, but all of these choices are tailored for an off-the-road adventure. 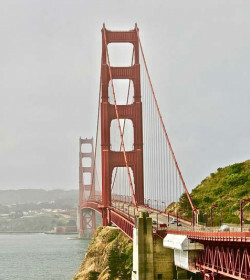 Since these guys are already expert with the Pacific Coast and Western States road trip, they can help you create a personalized itinerary just for you! Not only that, your dear pet dogs are very welcome inside the vehicles. And even if they only have one depot, they allow pick-up and drop-off of vehicle at San Francisco International Airport, at an additional fee. Pacific Overlander has a number of 4x4 vehicles for your selection, and all of these units come with roof-top tents for a convenient and efficient sleeping session. The rooftop tent is large enough to comfortably sleep 2 to 3 and features screened window for ventilation and full mosquito netting for protection. The internal roof provides a nicely mounted lighting for reading sessions at night. So, whether you want to sleep on a wet or rocky terrain (though designated campsites are much recommended), you are given the freedom to choose your own sleeping place. Each vehicle varies in driving styles, gas preferences, as well unique features fitted to each unit. In particular, the Land Rover 'Defender' 90, needs extended patience because of its older parts and manual transmission. Still, all vehicles are suitable for the great adventure ahead as these are equipped with complete camp kitchenette including dual burner stove, cleaning basin, cooking and dining wares, and cooler fridge. Plus, 150 miles per day! A 6-speed automatic, the Toyota 4Runner can seat up to 4 but only sleeps 2 at the rooftop tent. The unit has 5 doors and supplies you with the following: camping table with 2 outdoor chairs, dual burner gas stove, cooler and more. So, if you are travellers in two, this one might nicely suit your style without compromising comfort. 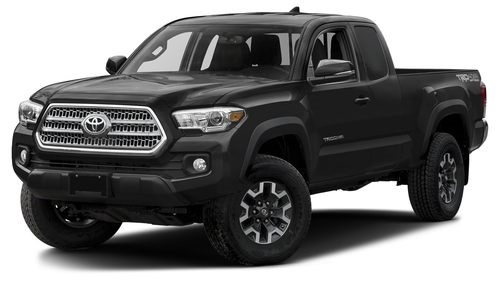 Another option for couples or backpackers in two is the Toyota Tacoma. Comfortably sleeping 2 adults, this 4x4 has the same price and same features with the above-mentioned unit, and only differs with the model used. Hence, this is a good alternative in case the first one runs out of the selection. Who says you can't explore the off-the-road adventure with your little kiddo? 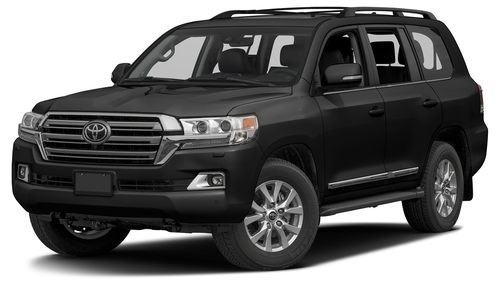 Well, this 3-berth Toyota Land Cruiser gives you the luxury to travel with your child. Sleeping 2 adults and 1 child, the vehicle caters up to 7 passengers with 8 bags and 5 doors. 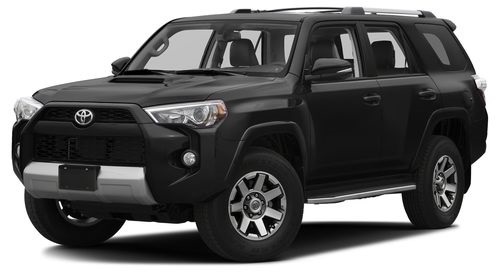 Of course, since this model has more sleeping capacity, the rate is quite expensive, though it provides the same features as the 2-berth Toyota 4x4 model. The only white-based exterior on fleet, the Land Rover 90 'Defender' is also a 3-berth unit that offers option for 2 adults and 1 child. The unit is the oldest on offer with a manual transmission, so it's better to set your expectations prior to your rental. However, this heavy-duty 4x4 conquers the road reliably, with almost the same conveniences like the previous three options, with certain improvement—a 47 liter fridge instead of 65 liter cooler. Renter must provide a copy of their insurance at the time of rental or can purchase through the company, in case they do not have an insurance coverage. On top of the liability insurance, Pacific Overlander highly suggests renters to also acquire insurance for collision coverage, especially that they are dealing with off-the-road vehicles, and a reservation deposit of $200 upon booking, which will be credited toward your rental balance during pick-up. Offering a unique fleet of heady-duty 4x4 vehicles, Pacific Overlander is definitely one of the most trusted rentals for outback adventures in California. All these vehicles can tackle some pretty tough roads and send you off to your destination comfortably. However, this might be a downer for larger groups as the models can sleep 2 to 3 people only. Still, all units are better versions with almost complete camping gears you need. 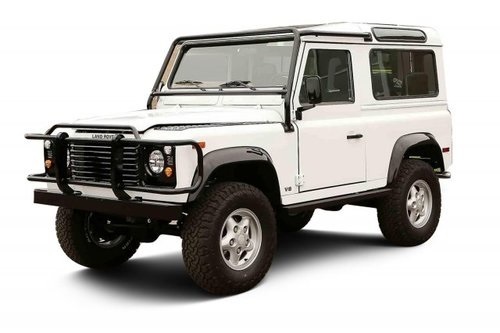 For travellers with a heart for adventure, you will never go wrong with the reliable 4x4s of Pacific Overlander. But, of course, you might need to divide your group into half if you're travelling with more than 3 people. No need to bring much at all because the trucks are well equipped with the basics and some extras. Have you experienced Pacific Overlander?